As of mid-January, the UNHCR estimates there are upwards of 5,000 refugees and migrants currently present in Bosnia-Herzegovina. Of this number, more than 500 likely reside in the IOM-run Miral camp outside of Velika Kladuša. In the last month, camp residents reported abuses of authority from the private security guards who monitor the camp. Rumors abound about whether or not the camp will become “closed” in the coming months. Moreover, confusion abounds about the official capacity of the camp. BIHAC, Bosnia — Ahmed and his friends had hiked for days through the snow, sleeping in the forest by day and walking for hours every night, when they saw a police car approach on the winding, mountainous road. They’d barely crossed into Croatia when things turned violent. We said please please call an ambulance, our friend has been hit by a car, please we need an ambulance. He stayed like this on the ground for an hour, nobody helped him. He was dying on the street in front of them and they did not call an ambulance. This is racism, this is not human. 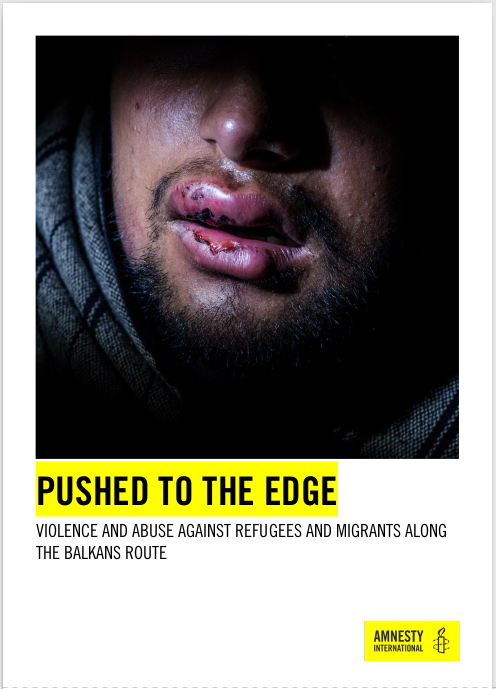 After the publication of video footage by Border Violence Monitoring on 16th December 2018 showing illegal collective expulsions of people on the move at the EU external border with Bosnia and Herzegovina, more serious allegations were raised against Croatian police officers from several sides. Save the Children published a report that gathered testimonies of more than 1,350 cases of children being pushed back across European Union borders between January and November 2018. Almost one third of these cases reportedly involved violence inflicted by police or guards at borders. 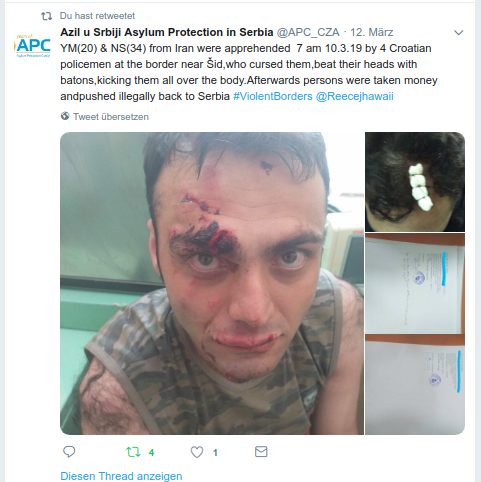 Most of the cases occurred at the Croatian border to Serbia, but they also mention violent practices at the Croatian-Bosnian border. No Name Kitchen Kladusa, in cooperation with Balkan Info Van, states in their recently published overview report on border violence to have observed “an increase in the deployment of police forces and violent practices, making legal and safe transit to Europe impossible”, to have “received consistent reports from men, women and children, of abuses that remain either uncovered or denied, leading to no prosecution of the perpetrators and continued border violence.” Following these further allegations which are still being denied by the Croatian Ministry of the Interior (MOI) in a statement published after the publication of the video footage, Border Violence Monitoring wants to take a position reacting on some of their points. 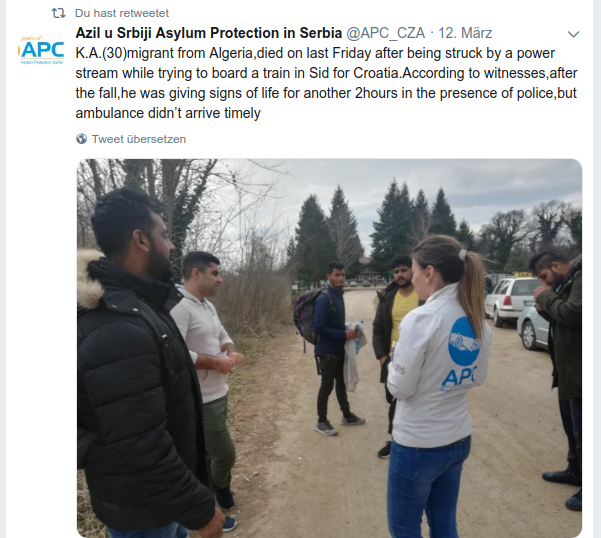 A well-grounded counteropinion should be voiced through a collection of views expressed by a number of actors who deal on a daily basis with the illegal practices at the Bosnian-Croatian border. 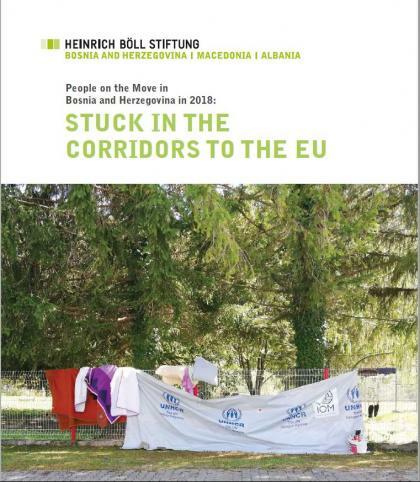 Velika Kladuša, Bosnia and Herzegovina — Hundreds of people passed through 2018 sleeping under plastic sheet shelters in north-western Bosnia-Herzegovina. Living amongst the cries of street dogs and the smell of human excrement, they gathered their strength before attempting to cross. The nightly sounds of a helicopter and gunshots pulsing out from the nearby Croatian border provided an ominous reminder of the violence waiting for those trying to step into the European Union. BIHAĆ, Bosnia-Herzegovina — Two young Pakistani men gaze from the windows of a half-empty bus snaking its way through northern Bosnia-Herzegovina; the mountains are dusted white with the first snow of winter.